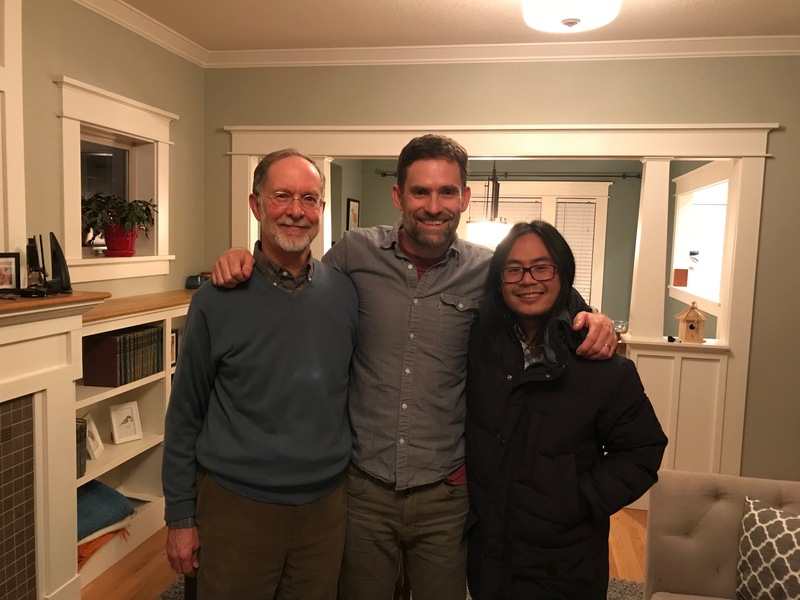 Three generations of polyploid enthusiast team up for a Reed College lecture! Mick and Dr. Jeff Doyle (Cornell) gave guest lectures at Reed College in the Genetics course taught by Prof. Jeremy Coate who advised Mick during undergrad and who was himself advised by Jeff at Cornell. Together they study the young allotetraploid complex of wild soybean (Gycine subgen. Glycine) and are always keen on inspiring young botanists! Three generations of plant scientists!